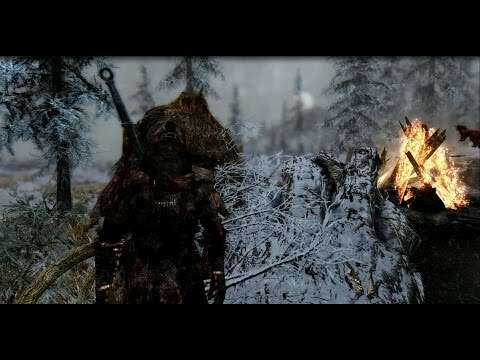 A Modded Dovahkiin faces off against one of Alduin’s Horde. 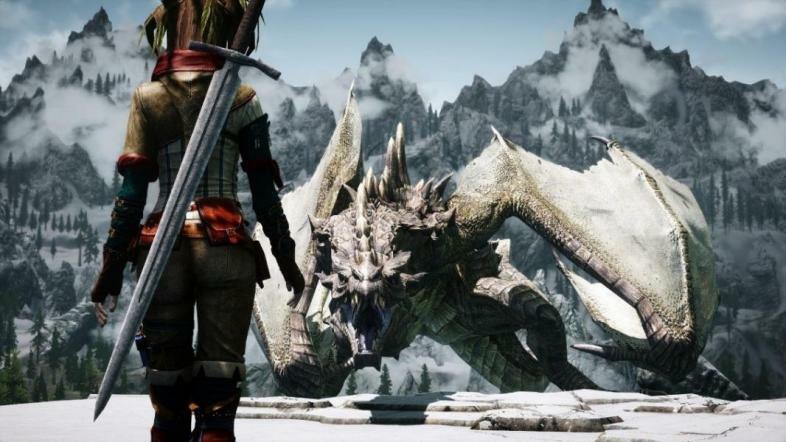 Skyrim’s online community has sought many ways in which to enhance the game’s RPG experience. In a move which many players might have called ‘taking the RP out of RPG’, Bethesda’s latest Elder Scrolls game was presented to us without a clear-cut class system. Though we were given as many hours as we’d like deciding whether or not our Level 1 Orc would look better with a unibrow – we were then thrust out into 14.8 square miles of frozen tundra, with 18 skill-trees, and no clear sense of direction (besides the nearest quest marker). Luckily, the Skyrim community seems to have solved this issue – largely by making up classes entirely (some replete with fan-made backstories) – and then presenting them for use by other Elder Scrolls fans. These classes are otherwise known as Character Builds. Below is a list of 10 Builds which we believe to be entirely worth your valuable playtime. Focusing mainly on the One-handed and Restoration skill-trees, the Templar is anathema to the Daedra and Undead. First designed by FudgeMuppet, the Templar is a Knight dedicated to the total eradication of all evil. Quests requiring the elimination of the undead – and other unholy enemies – will be the Templar’s focus. The Templar’s playstyle emphasises Restoration Magic and One-handed melee and shield – meaning that (magically speaking) the Templar will be well-equipped to both heal themselves and undo the undead, while they're bashing enemies with sword and shield. The Templar is suited to players who want to feel a true servant of the good – a hero dedicated to eradicating evil beyond just Alduin’s resurrected Dragon horde. Undead army…the Necromancer can lead a horde of his deceased enemies thanks to Conjuration magic. Skyrim’s crypts are recruiting grounds for a Master of Conjuration. A master of conjuring hostile spirits and raising the dead to their command, the Necromancer is a dark wizard/witch whose powers are wholly unholy. 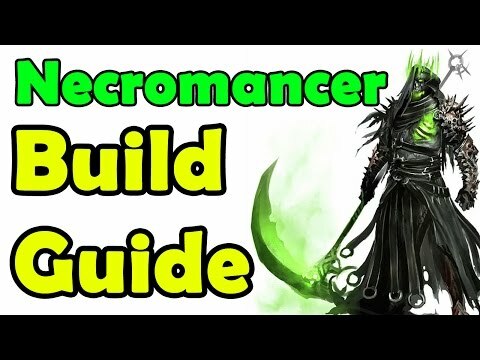 According to BIPOHBOG the Necromancer will be focusing solely on Conjuration, as this allows you to raise the dead, summon spirits, and arm you with ghostly weapons if need be. A Dark Elf would be the most preferable race – as Dark Elves have an affinity for the dead and worship the spirits of their ancestors. The Necromancer is best-suited to players seeking a Conjuration-centred style-of-play - one less focused on traditional styles of combat. The archetypal Dovahkiin is a Nord in full battledress and horns, determined to master the Way of the Voice. 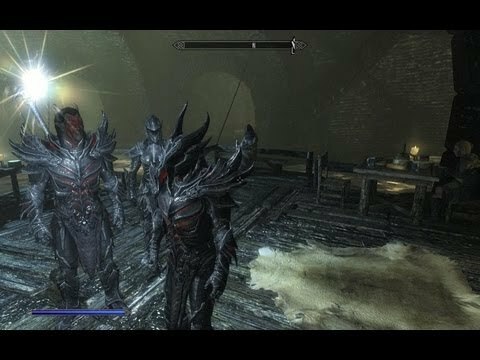 Following the Dragonborn build might lead to much greater immersion in Skyrim’s main story. 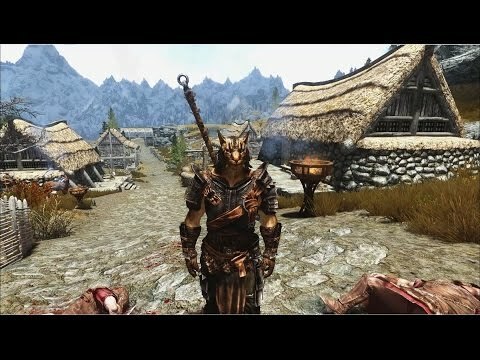 The Dragonborn is Nordic champion, destined to dine amidst other heroes in Sovngarde. Along with following the main questline, one of the Dragonborn’s primary focuses is attaining full knowledge of the ancient Way of the Voice – as preserved by the reclusive order of the Greybeards. 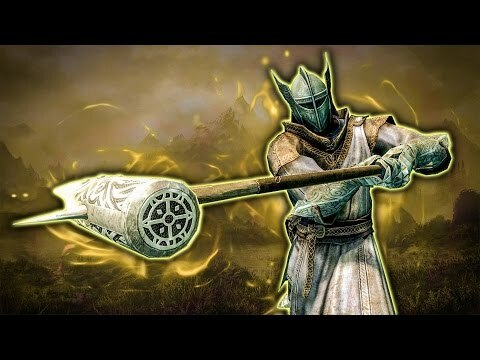 To better envelope yourself in the role: the Ordinator Perk Overhaul is a recommended (although not entirely necessary) mod, as this integrates the Way of the Voice into the speech skill tree. 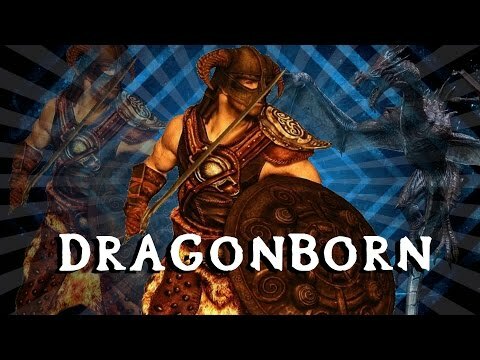 The Dragonborn is a good build for players who truly want to invest themselves in the whole hero-of-Skyrim role - and learn as many Shouts as possible. The Bandit Build might cause Elder Scrolls veterans to recall the old Khajit bandits encountered on the roads of Cyrodiil in Oblivion. 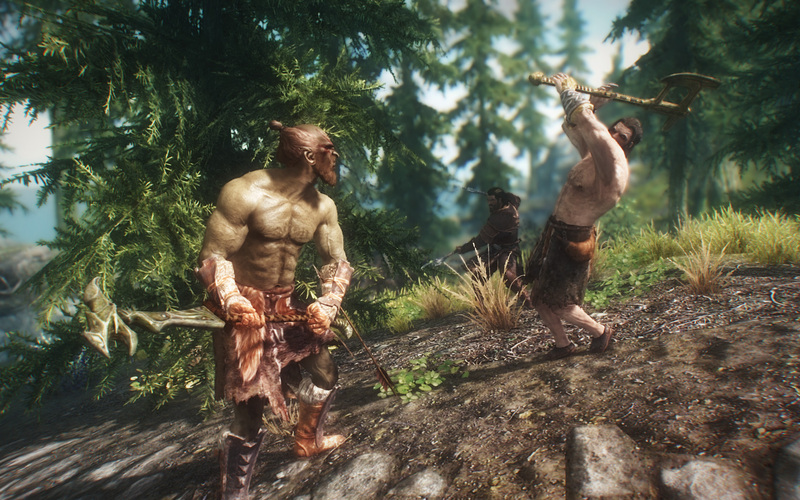 See Skyrim through the eyes of its many robbers and highwaymen. Essentially geared towards robbing, beating, and killing entirely for his own gain: The Bandit is a roving highwayman - like any other of the ragged, leather-wearing vagabonds you might have encountered while traversing Skyrim or Cyrodiil’s dangerous roads. An ambitious Bandit will find themselves investing in Sneak and Two-Handed perks, allowing them to sneak up on, pickpocket, and/or bludgeon unsuspecting townsfolk – racking up an impressive bounty in the meantime. A Bandit Build is good for those who are tired of cycling through endless quest-markers. The Bandit offers an entirely different, anti-hero feel to Skyrim – having you always on the outskirts of the major towns and cities. Bearing all the hallmarks of a wildling or savage tribesman, the Barbarian bludgeons foes with its Two-handed focus. The Barbarian must master the game’s Werewolf skill-tree, maximizing the amount of damage they can deal as a hulking man-eating werebeast. The Barbarian is for those who like to bludgeon their enemies to pieces. The Barbarian is a savage, and uses his hammer, hands, and anything in-between to decimate anyone in his path. Barbarians will have to pursue the Companions questline up until The Silver Hand – so that they become a werewolf. Additionally: The Barbarian will have to invest in the Two-handed skill tree, giving them a little extra swing in their primary method of dealing with problems – their ability to beat and bludgeon. The Barbarian would be a desirable build for players who just want to kill anything and everything in sight – zerg rushing any problems without need for strategy. The Warlock is a mage of potent magical ability, accomplishing their aims solely with their Magicka. Destruction, Alteration, Conjuration. The Warlock is an unmatched wielder of ancient arts. A Warlock is a wizard skilled in the art of war. In more basic terms: a character whose magicka ability is of extremely powerful proportions and burns through all foes using just their magic. The Warlock will be investing 100% of their Skillpoints and Perks into Magicka, focusing mainly on Destruction, Alteration and Conjuration (although a few skill points in other magic skill-trees would not go amiss). 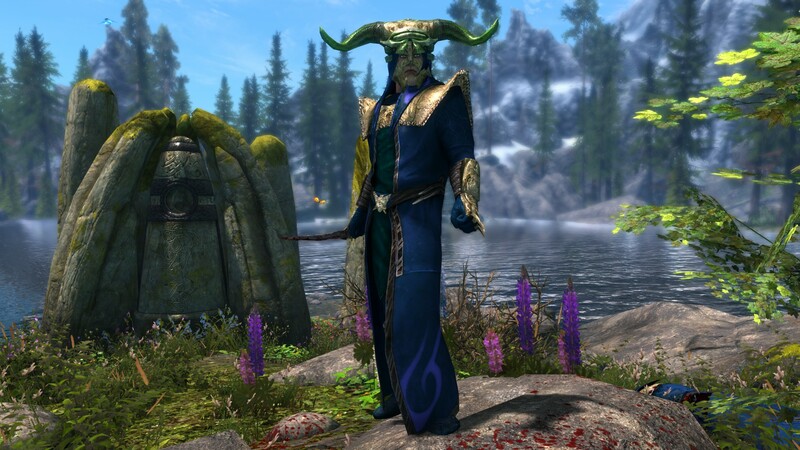 The Warlock would complement players who desire to be the Tamriel embodiment of Merlin – like they could accomplish anything just on strength of their Magicka alone. Generally avoiding direct violence and confrontation; the Bard is far more accustomed to the lute than say the sword or mace. The Bards College in Solitude. A Bard build will perhaps provide the freshest perspective on Skyrim of all the Builds we’ve so-far listed here. This is because the Bard will more-often-than-not find himself directed away from combat and direct forms of confrontation. The Bard’s life is coloured by love of song and money. You’ll obviously find yourself joining the renowned Bard’s college in Solitude, while investing skill-points in the Speech, Mercantile, and Sneak skill-trees. The Bard will choose sneaking or bartering to their goals – thoroughly avoiding coming to blows. 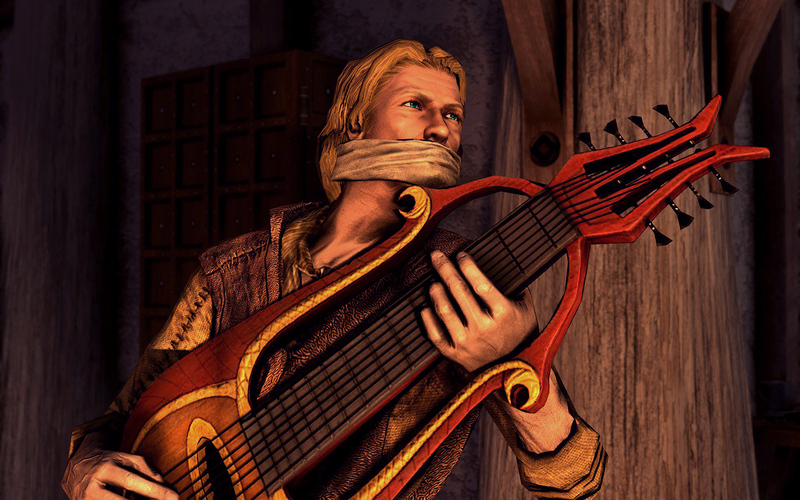 The Bard is best for those who wish to make the most of Bethesda’s typically deep conversational systems – uncovering more unique dialogue options and coercing money or information out of NPCs. 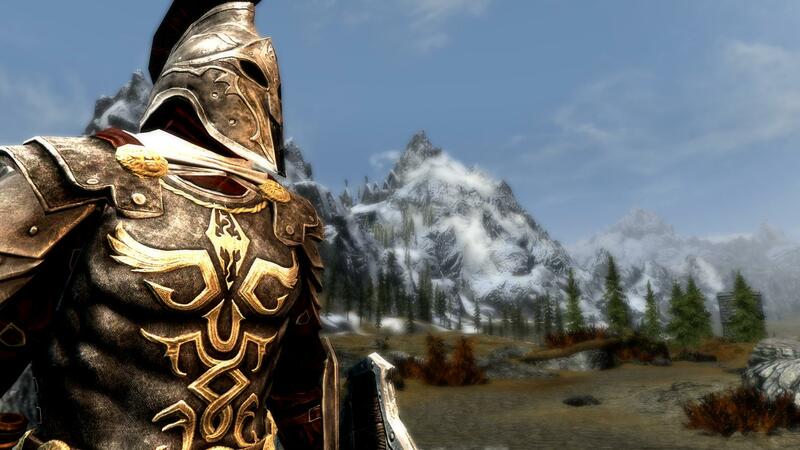 The modded Breton Paladin Armour. A Paladin soldiers for the good. The Paladin is a heavy-duty melee combat character – dealing damage with Two-Handed. Using magic and melee to violently advance the good fight in the Nordic homeland, the Paladin is a warrior dedicated solely to helping others and instilling hope into the near-broken peoples of this troubled land. 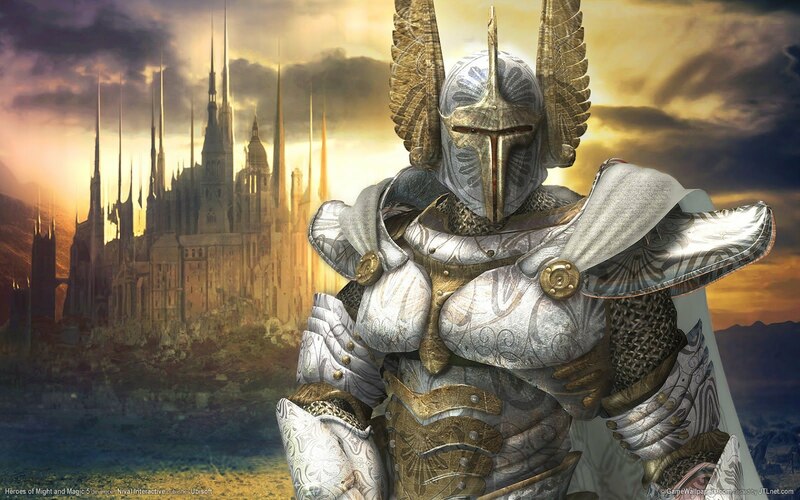 To fight that good fight more effectively, the Paladin will be investing in Restoration (enabling him to effectively scourge the undead), Two-handed, Smithing, and Enchantment (the latter two allowing him to craft and refine his own set of weapons and plate armour). The Paladin will nicely supplement players who like to charge foes head-on in heavy melee encounters, while supporting themselves with healing magic. 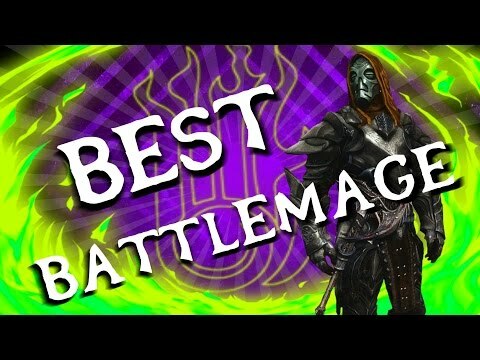 The Battlemage balances their mode of combat – one part magic, one part melee. A Battlemage stands before Whiterun. 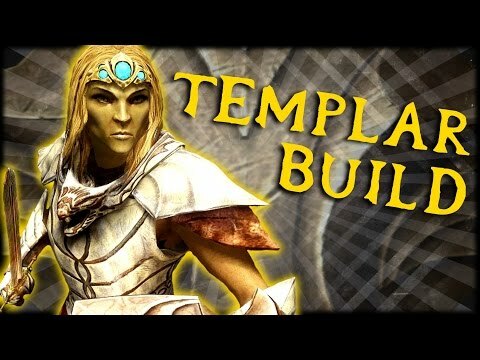 This Build is modelled after a character class originally found in Oblivion and Morrowind. Duel wielding magic and melee equally with destructive fury, the Battlemage is a warrior utilizing weapons and the arcane arts. 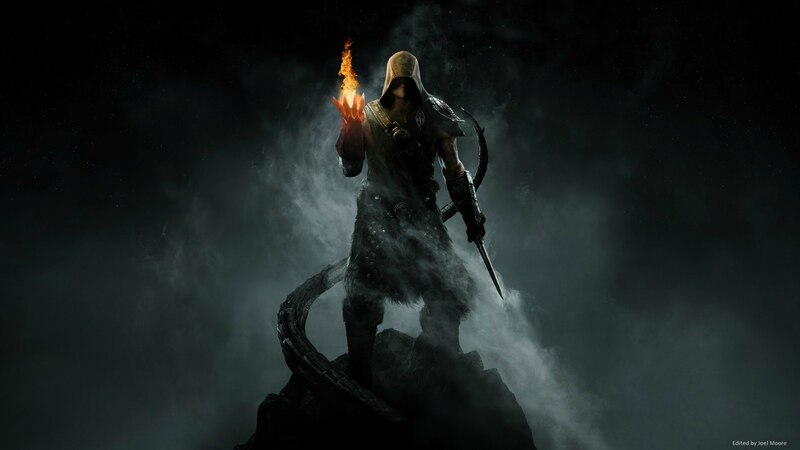 Based off the Battlemage classes out of Morrowind and Oblivion (back when class systems were an official thing), the Skyrim version accordingly focuses on Alteration, Conjuration, One-Handed, Destruction, Enchanting, and Alchemy. The Battlemage – though mainly using many of the arcane arts that they have mastered – will have their One-Handed weapon to fall back too. The Build is great for players weary of a dwindling Magicka metre – being readily able to switch between the two styles of combat where suitable. Geralt of Rivia…originally a monster-hunter of the fantasy open-world series The Witcher. As a mock-Geralt of Rivia, you’ll be hunting all of Skyrim’s unholy and undead beasts. Bridging two of the most grandiose and epic fantasy realms currently in gaming, The Witcher Build aims to bring Geralt of Rivia’s monster-hunting escapades to the frozen Nordic wilds. Witcher roleplay is accompanied – inevitably – by an avid aversion to monsters and unholy creatures. 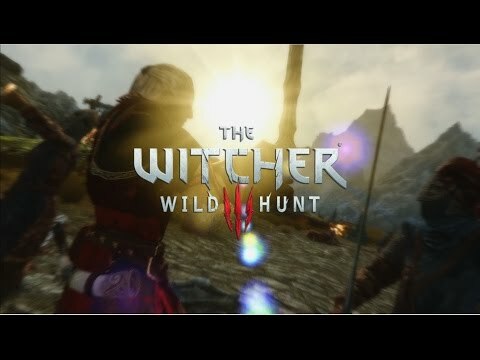 A player playing the Witcher will avoid the Companions questline – largely in their aim to avert becoming either a Werewolf or Vampire -; and will dedicate points to Illusion, One-Handed, Alteration, Destruction, and Alchemy. 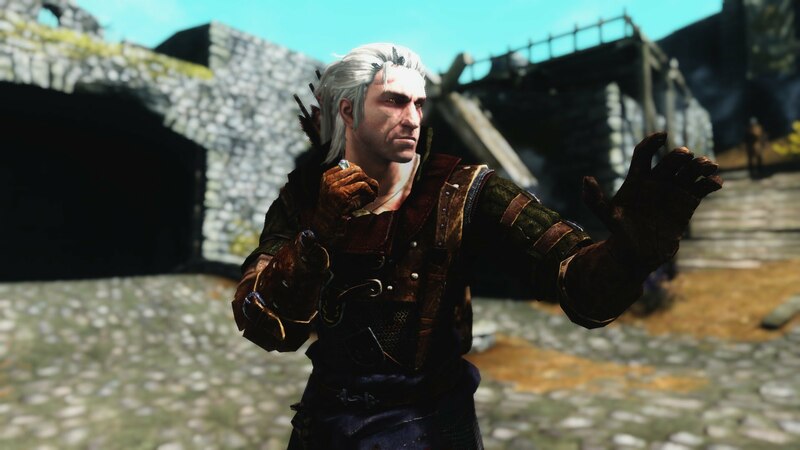 The Witcher Build would – of course – prove enjoyable to fans of The Witcher game franchise. In a Role-Playing Game which many have accused of being stripped of key roleplaying elements, Character Builds can provide some much-needed substance. 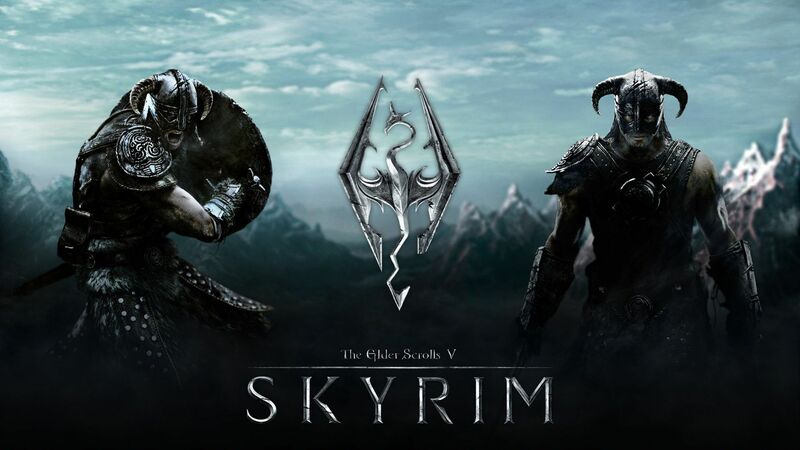 However, Skyrim’s level system is structured in such a way that players can make what they will of their hours spent immersed in it – even if the roleplaying is lacking in direction when compared to Oblivion and Morrowind (its predecessors). Although we’ve tried to list some of the more fun or interesting existing builds, we also encourage you to draft up your own. The Witcher's title character brought to the Nordic homeland.